At Kattner Orthodontics, we’ve helped countless patients achieve the perfect smile they’ve always wanted with only the best in professional orthodontic care available and the expertise of Dr. Kattner and our staff. Through all of our years with the families of Waukegan and our surrounding communities, we’ve heard every question there is when it comes to orthodontics, braces, Invisalign, and more. While we always encourage our patients to ask any questions that they have about their treatment, we wanted to make things a bit easier for you by putting some of the most frequently asked questions and their answers right here on our website. Just browse the questions and answers below, and we hope you find the information you’re looking for. If you don’t see your question here, don’t hesitate to contact us and a member of our team will be ready to help you. While dentists often focus on your general oral health, orthodontists are specialized in the diagnosis and treatment of problems with the alignment of your teeth, as well as issues with the face and jaw such as problems with the bite. By using a number of treatments such as braces, Invisalign, and other appliances, an orthodontist can correct those problems and provide a patient with a healthier, more aesthetically appealing smile. 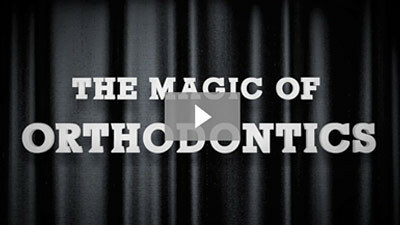 There are two main benefits to getting orthodontic treatment. The first is improved health and function: fixing issues with the bite or jaw structure will allow for more natural movement of your jaw and also make it easier to keep your mouth clean due the absence of problems like tooth crowding. The second benefit is aesthetics: having a perfect, straight smile gives patients a boost in self confidence. It’s never too late to get a great smile, which is why we offer professional orthodontic treatment to patients of all ages here at Kattner Orthodontics. If you want a new, perfect smile, you can get started with braces or Invisalign anytime, and all it takes is giving us a call to make an appointment! For kids, the American Association of Orthodontists recommends that their first visit should be around age 7, since it’s around this time that they have a naturally high growth rate that we can take advantage of to prevent the development of bite problems and make future orthodontic care much easier. Most bite issues can be identified by examining your teeth and how they align. 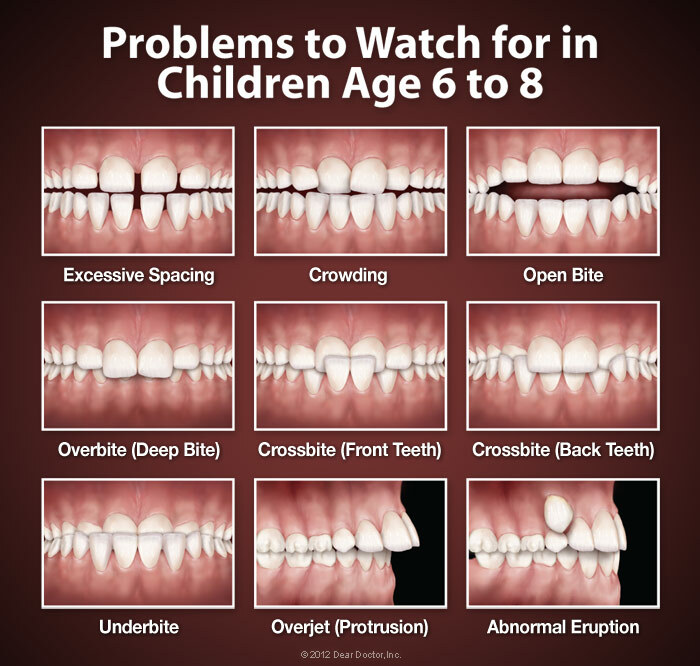 If you notice teeth that are protruding outwards, crowded together, or are erupting in a different direction instead of straight up, then the likelihood is that you have a bite problem that needs to be fixed with orthodontic treatment (view examples). Also, the jaw making sounds or shifting left or right when biting down are signs of a bite problem. 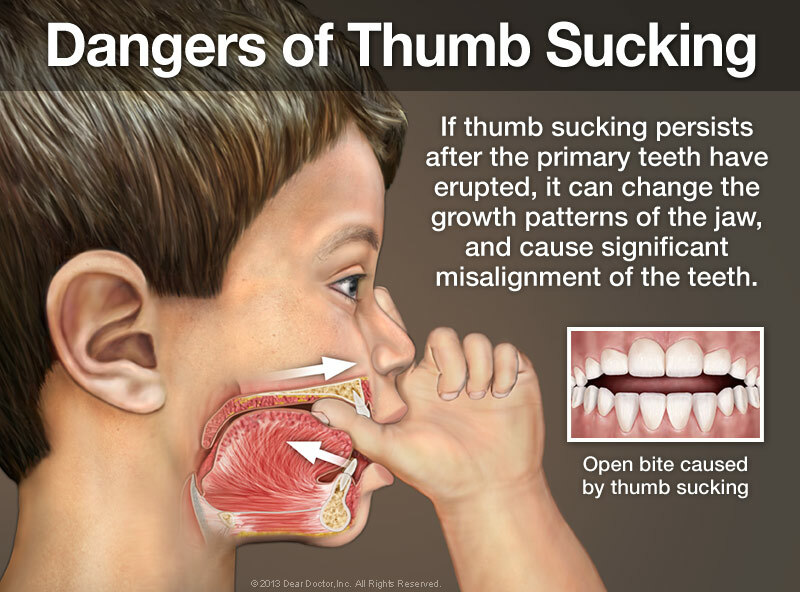 There are also other bite and jaw issues that are a bit more difficult to spot, but typically manifest through a habit such as biting the cheek, difficulty speaking, mouth breathing, or thumb sucking that goes past 3-4 years of age. These are more common in children, and can cause issues in their oral development as they get older. Taking your children in to see an orthodontist at a younger age can prevent issues from developing to more serious stages through early orthodontic treatment. One of the most common worries we hear from patients is if having braces or Invisalign is painful. Orthodontic treatment is generally painless, and the most patients usually experience is some discomfort in the first few days as they get adjusted to the appliances. Braces also need periodic adjustments which can cause some minor soreness. For Invisalign, switching to a new set of aligners could cause some minor soreness as well, but should go away quickly. You can take over-the-counter pain relievers to reduce any discomfort, but typically it’s minor enough that analgesics are not necessary. How Long Will Treatment With Braces Or Invisalign Take? It's different for each person, but generally the active stage of treatment (that is, wearing braces or other appliances) may take anywhere from 6 to 30 months. After that, a retainer is worn for months to years in order to preserve the orthodontic correction. How Often Will I Come In For An Appointment During Orthodontic Treatment? At Kattner Orthodontics, we want to make sure that your smile is nothing less than pristine when you finish your treatment, and regular check-ups allow us to make minor adjustments if necessary to ensure that your treatment is going as smoothly and efficiently as possible. How often these check-ups are will vary from patient to patient, but typically range anywhere between 4 and 12 weeks at a time. Will I Need To Have Any Teeth Extracted Before I Get Braces Or Invisalign? This all depends on your smile before you start your orthodontic treatment. If you have teeth that are severely crowded or have impacted teeth, then extraction may be necessary in order to make enough room in your mouth for your teeth to move. For kids, extraction is often unnecessary if they receive early treatment at a younger age. With braces, you definitely need to be careful with what you eat and make some adjustments to your diet. Hard foods can put pressure on your braces to the point of a bracket coming off your teeth or bending the wire, while sticky foods can be caught in your braces and extremely difficult to get out. Dr. Kattner will make sure to review the list of foods that you should avoid. For Invisalign, you can still enjoy all the foods you love since the aligners are completely removable. The only catch is that you need to always brush, floss, and rinse after every meal before you put your aligners back in. Any food particles or bacteria left on your teeth or the aligners can speed up tooth decay, and having a smile full of cavities after finishing treatment is the last thing you want! Will I Be Able To Play Sports/ Play My Instrument With Braces? With sports, especially those that are full-contact like football or hockey, we recommend that you wear an orthodontic mouthguard when playing. Orthodontic mouthguards are different than your typical mouthguard, and our staff will help you find one if you need it. As for instruments, you can typically play your instrument as you would normally, but you may need a short adjustment period since the braces can affect the feeling of putting your mouth on the mouthpiece. You should absolutely still go see your dentist during orthodontic treatment, since regular cleanings will keep your teeth free of plaque and your smile as healthy as can be. With the teamwork from your dentist and all of us here at Kattner Orthodontics we want you to achieve the perfect smile you’ve always wanted. If you want to make sure that new, perfect smile lasts for a lifetime, you will need to wear a retainer once you get your braces off or finish your Invisalign treatment. We call this stage retention, since it makes sure your teeth retain their new positioning. This is necessary because after you finish your treatment, your teeth look straight but your jawbone has yet to adjust. Without a retainer, your teeth can shift back into the positions they were in before you started treatment, and we know you definitely don’t want to start back at square one! Our team here at Kattner Orthodontics always works with our patients to make getting a new smile as affordable as possible. Getting braces or Invisalign is a long-term investment that will not only keep your mouth and body healthier, but also give you a boost in self-confidence. To make sure money doesn’t stand in the way of a brighter future for you and your family, we offer a wide range of treatment options to cater to your needs, as well as many financing options that will make treatment more affordable. If you didn’t find your questions on this list, just contact us and a member of our staff will be more than happy to help you! We look forward to welcoming you into our office, introducing you to our team, and getting you and your family started on the path to a healthy, beautiful smile. Our office is located in Waukegan, so the professional care that you deserve is never far away from home. Schedule your appointment with us today!